Join the thrill of Las Vegas, Human Nature and symphony orchestra in a performance of hits from the Rat Pack, Elvis, Tom Jones, Barry Manilow as well as their amazing Motown and original hits. 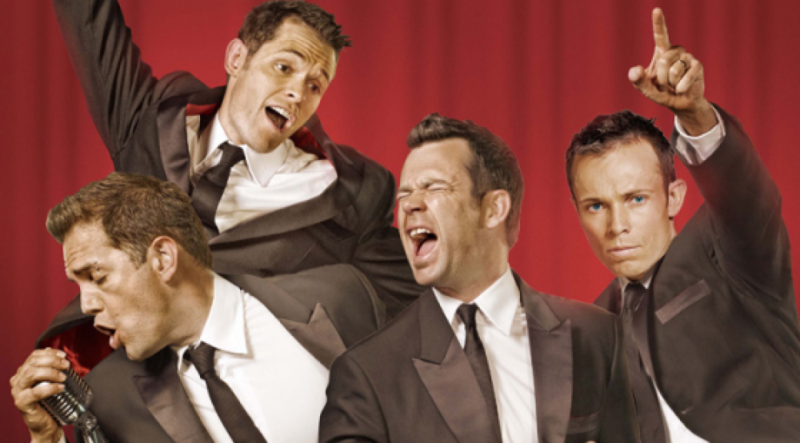 In the style of the boy band vocal bands of the time, Human Nature became Australia's most successful pop group of the '90s and beyond, outselling their international contemporaries Backstreet Boys, *NSYNC, and Boyzone. Andrew Tierney, Michael Tierney, Phillip Burton, and Toby Allen first joined up as the 4Trax in 1989 when they were all still attending a New South Wales agricultural high school. Andrew, Burton, and Allen were all in performances of Godspell and Grease at high school and in the same year level, while Michael, Andrew's younger brother, was a few years behind. Mike used to sing in school choirs and did a performance in an opera. Legend has it they were signed on the spot by Sony after a live performance of "People Get Ready" in the chief executive's office. It was at this point in their career that they changed their name to Human Nature, a name thought up by Mike.